Does Smoke Odor Eventually Go Away? We’ve all burnt cookies or even a pizza in the oven leaving a temporary and unsavory smell in our home, but after opening up a few windows and airing out the house, the odor goes away. Harmless burnt cheese or cookie dough in the oven is not the same as an actual kitchen fire or house fire. The ensuing smoke odor from a real fire does not go away on its own. You may become a bit more accustomed to it, but you cannot simply “air out” your home after a fire. Smoke from a fire permeates paint, dry wall, carpeting, flooring, drapery, clothes and even granite counter tops. Yes, smoke will seep into all porous surfaces in a home. Then there’s the issue of soot. Soot is a carbonaceous substance produced as a byproduct of a fire and is oily and will stain carpets and other textiles. Soot must be removed before any cleaning or deodorizing can take place. Calling your favorite cleaning lady or scheduling your carpet cleaner isn’t going to do the trick this time. Smoke and soot damage from house fires is a much more serious issue and the odor will remain until professionally removed. 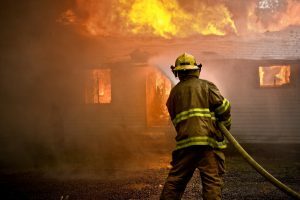 If you’re covered by homeowner’s insurance, your insurance will almost always cover these types of services as they recognize they are necessary before your home will be inhabitable after a fire. If you’re interested in some of the processes restoration companies use, here’s some additional information from the University of Florida’s Cooperative Extension Service. 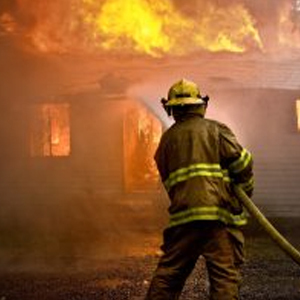 Fire, Water and Smoke Damage Restoration Specialists are able to evaluate the extent of the smoke and soot damage. They will then systematically pack, clean and restore your items and will clean the building structure as well.